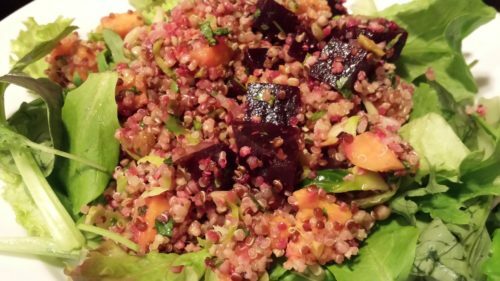 Autumn Harvest Super Grains Salad. Autumn is definitely upon us in my area. The leaves are changing to gorgeous colors this year instead of turning brown and falling off the trees. We are enjoying the show. 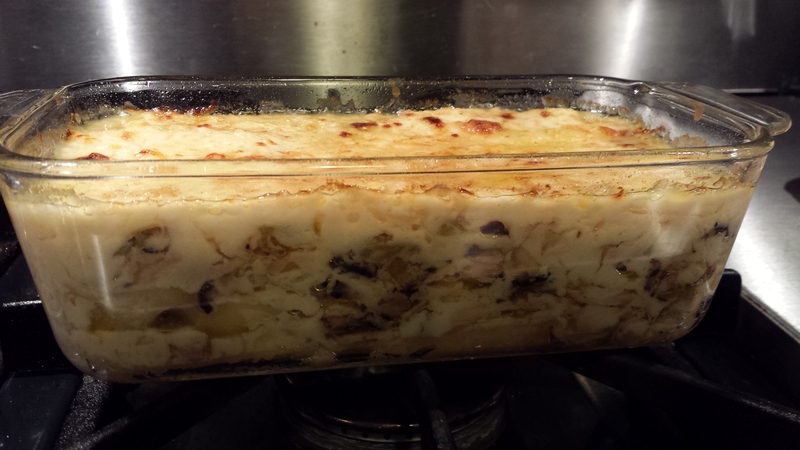 Along with Autumn comes the cooler weather and more hearty dishes. Whole Foods Market carries a good-for-you blend of Super Grains that are perfect for cooler temps. 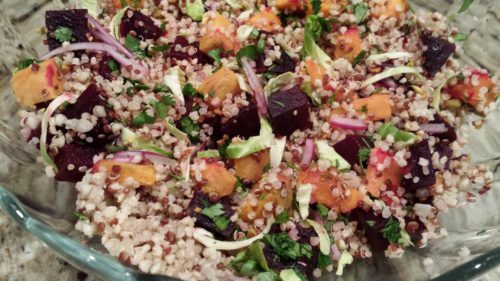 These super grains go nicely with some diced roasted beets and sweet potatoes for a fancy colorful and hearty side salad that travels well. Serve my Autumn Harvest Super Grains Salad chilled or at room temperature. Along with the Whole Foods Market’s super grains, I purchased organic beets and sweet potatoes at Trader Joe’s. I cooked the super grains in boiling water according to package directions and cooled them. 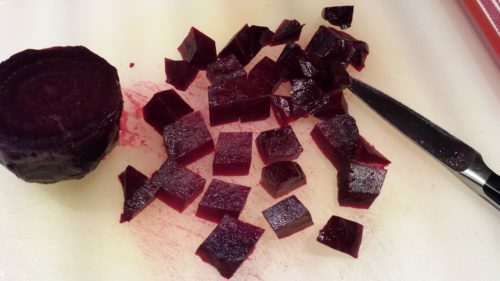 I roasted the beets and sweet potatoes, let them cool, and then peeled and diced them. I’ve also added finely sliced purple onion, shredded raw Brussels sprouts, chopped cilantro, and chopped dry roasted pistachios, all from Trader Joe’s. For the vinaigrette, I selected a wonderful Trader Joe’s pomegranate vinegar. This vinegar is sweet and tangy and goes well with olive oil. How to make this salad? 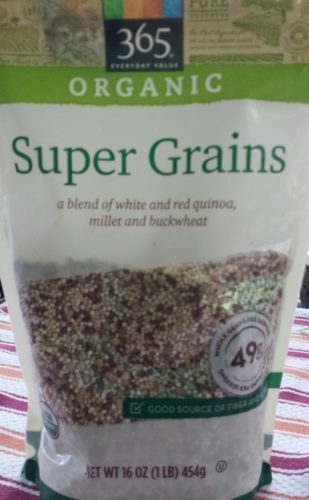 Cook the Super Grains in boiling water according to package directions. Let cool to room temperature before using. 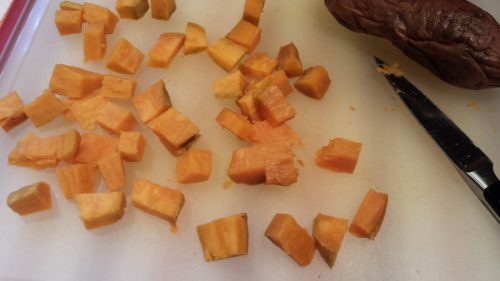 Peel and dice the sweet potatoes and beets. 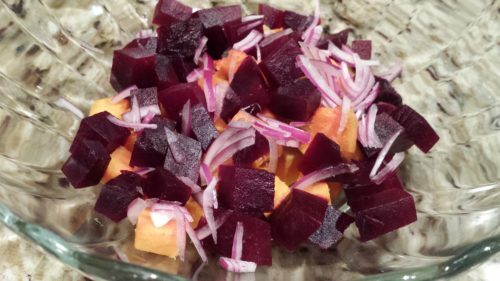 Put the diced sweet potatoes and beets in a bowl. Then add some shaved purple onion. And some shredded raw Brussels sprouts and chopped cilantro. Top with some chopped dry roasted pistachios. Add the cooled super grains and stir. 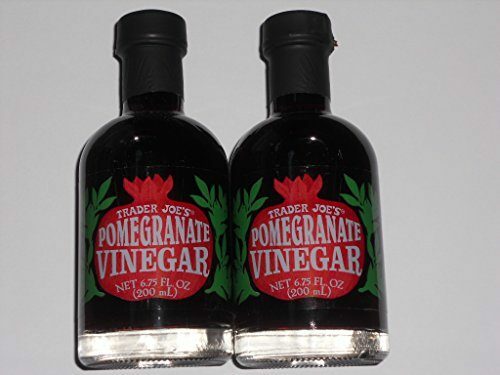 Finally, whisk together some Trader Joe’s pomegranate vinegar and olive oil. Add to the salad and mix to coat well. Serve immediately or chill overnight. 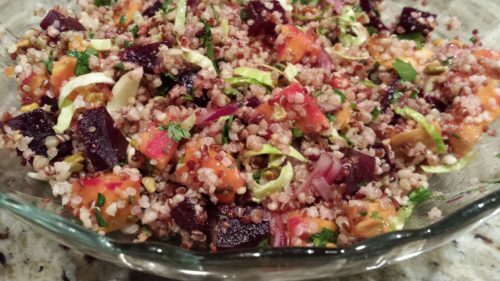 This salad makes a nice side dish to a meat and vegetable meal. Or, serve my Autumn Harvest Super Grains Salad over a bed of field greens for a main course salad. Add some goat cheese if you wish. 1. 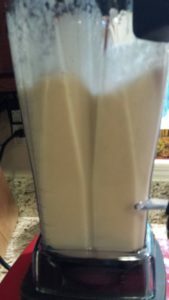 Rinse the super grains under cold running water in a fine mesh strainer until the water runs clear. Set aside. 2. In a small pan, heat the water to boiling. 3. When the water is boiling, add the super grains. Lower the heat and cover the pan and simmer for 15 – 20 minutes. 4. Remove the pan from the heat and let sit for 10 minutes. 5. 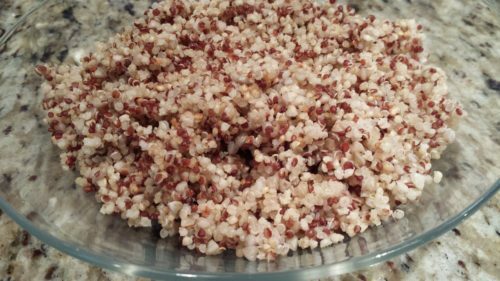 Fluff the super grains with a fork and turn out onto a large plate to cool quicker to room temperature. 6. 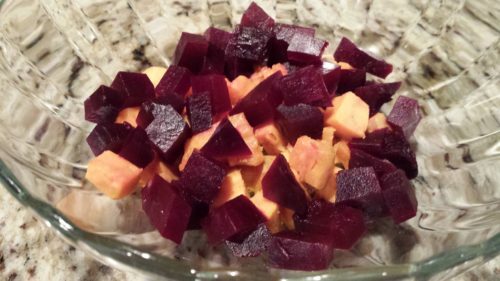 Combine the diced sweet potatoes and beets in a bowl. 7. 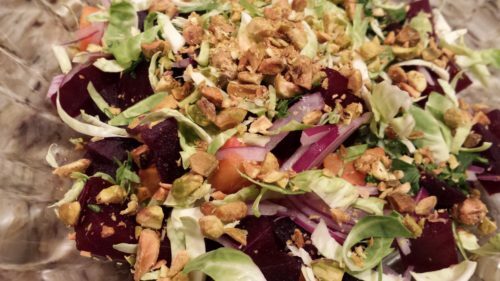 Add the thinly sliced and chopped purple onion, sliced Brussels sprouts, chopped cilantro and pistachios. 8. Add the cooled super grains and combine well. 9. Whisk together the olive oil and the vinegar for the vinaigrette. Season to taste with salt and pepper. 10. 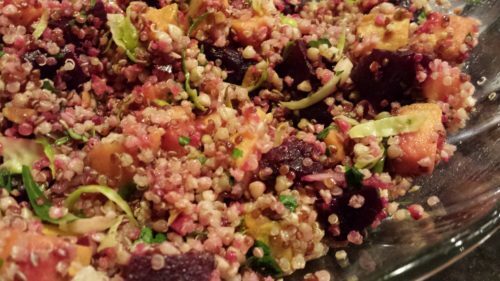 Add the vinaigrette to the super grains salad and mix until ingredients are coated. 11. Serve immediately or chill overnight. Makes about 4 cups. Serve as a main course on a bed of field greens or as a side dish with chicken, pork, or turkey. 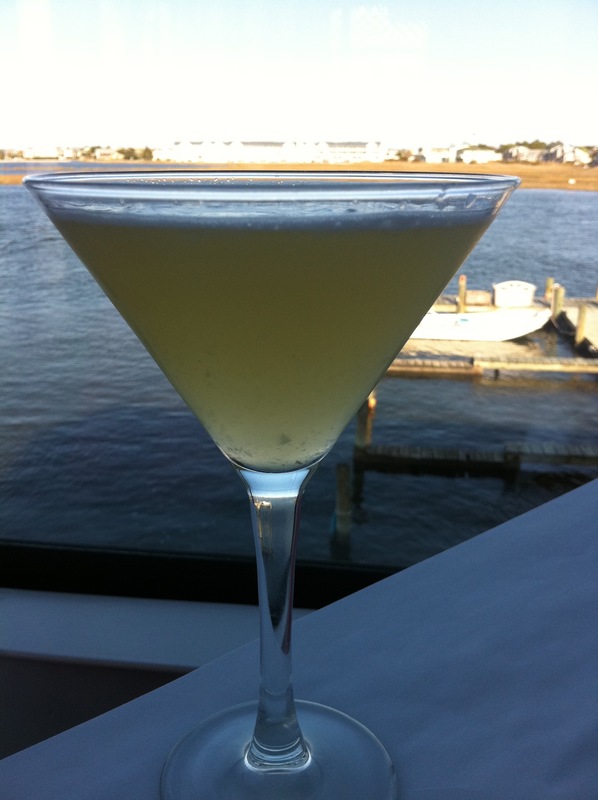 Serve at room temperature or chilled. Variations: Substitute Italian parsley for the cilantro. 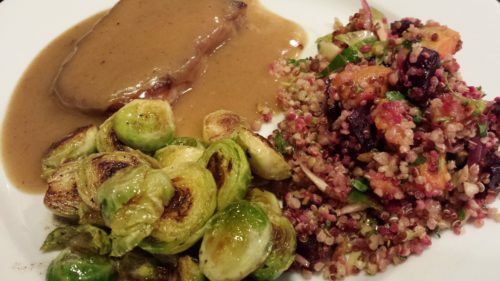 Use chopped toasted pecans instead of the dry roasted pistachios. Add some diced ripe pear or apple for a different flavor. Add some cooked chicken or turkey chunks for more protein. 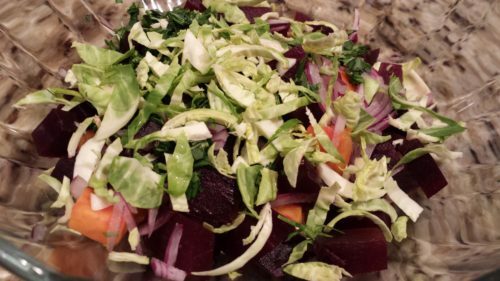 Serve over a bed of greens for a main course salad.